Congratulations! 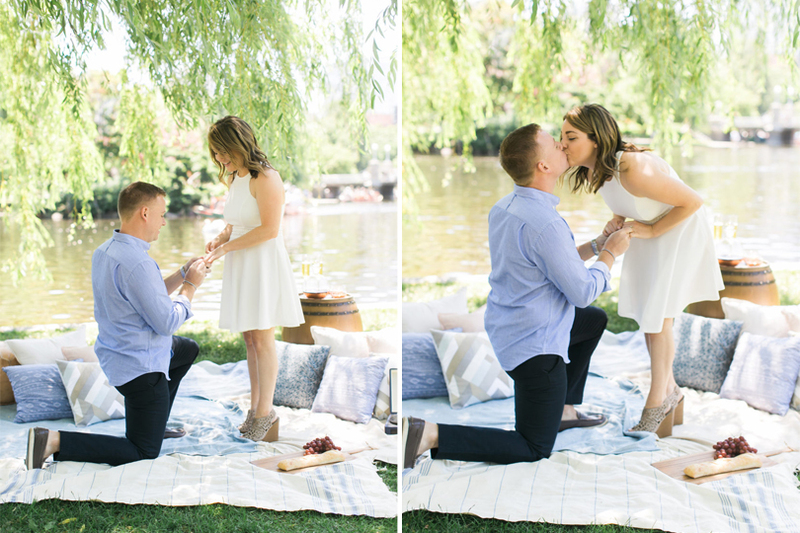 You’re ENGAGED! 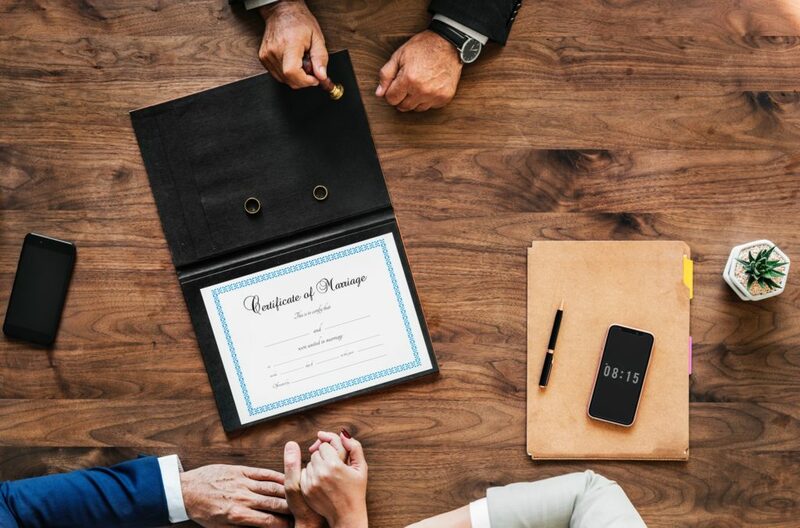 Whether you have been waiting for what feels like forever or are caught in a whirlwind romance, getting engaged is an incredibly exciting time in any couple’s life. Once the initial excitement wears off, panic may set in as you find yourself saying, “there is so much to do!”. Don’t fret! We’re here to help get you through the first few weeks with the first five things to do once you get engaged. Enjoy this time together! Spend a few weeks just enjoying being engaged, wrapped up in all the and joy that you are feeling, knowing what it means to be engaged and not stressing out about what needs to get done. Go on romantic dates, dream about the day you’ll say “I Do” and flash your ring finger whenever you have a chance. You’ll only be fiancés for so long, so say it often! The first thing you’ll want to do is tell everyone you know. We recommend making personal announcements to your immediate family, send out a printed announcement to remaining family and friends or consider posting the happy news online to Facebook and other social media outlets. Everyone will be so happy to hear the news straight from you, so choose whichever method best suits your personal style. 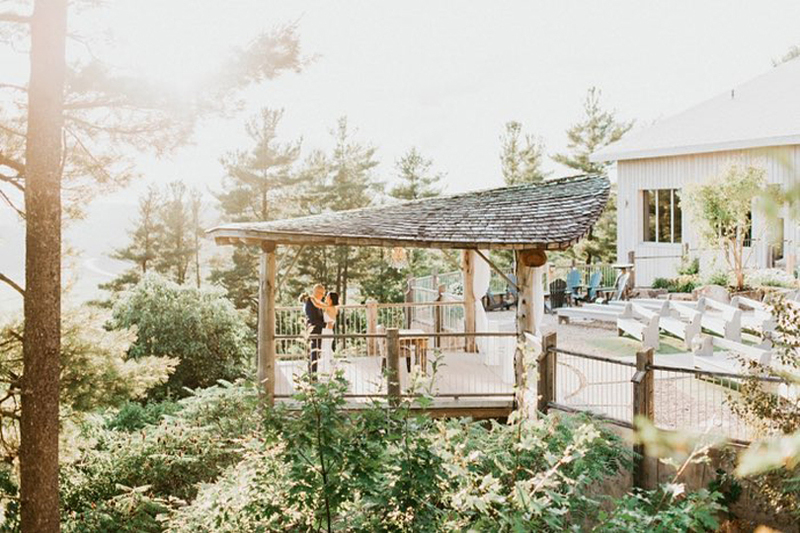 You don’t have to set a date just yet, but now is a great time to start thinking about the season you’d like to get married in, which will help determine how much time you have to plan. Knowing the season will start to guide your search for venues, conversations with vendors and your wedding dress hunt. 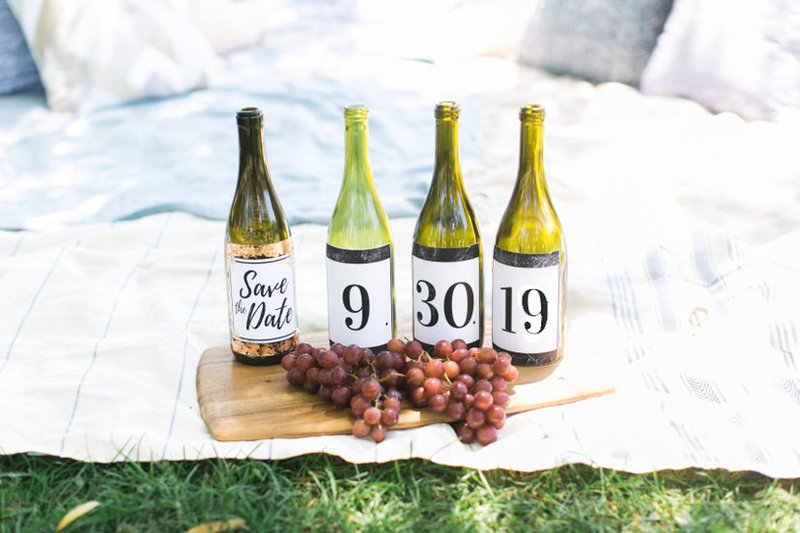 And even if you don’t decide on the date for a few more months, your family will be thrilled to tell her friends that you’ll be tying the knot in the fall of 2019 or spring of 2020! 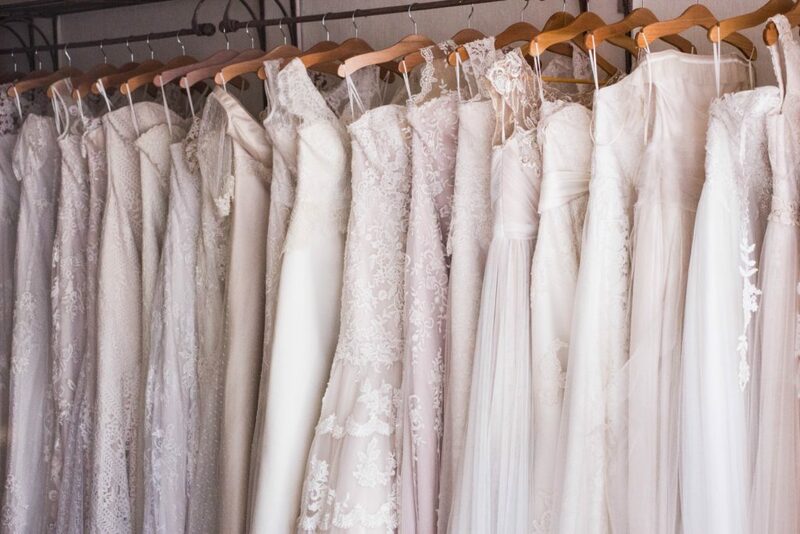 Before you book any vendors or buy a dress, you’ll need to know how much you’re planning on spending and how your budget will be broken down. Now is the time to figure out if anyone will be contributing to your budget or if the two of you will be paying for the wedding yourselves. Though things will probably change as the months go by, having an idea of how the money will be used will keep you from using your entire budget for a photographer and venue deposits. Planning a wedding isn’t all fun and games for everyone, there is a lot to do to prepare for your big day! 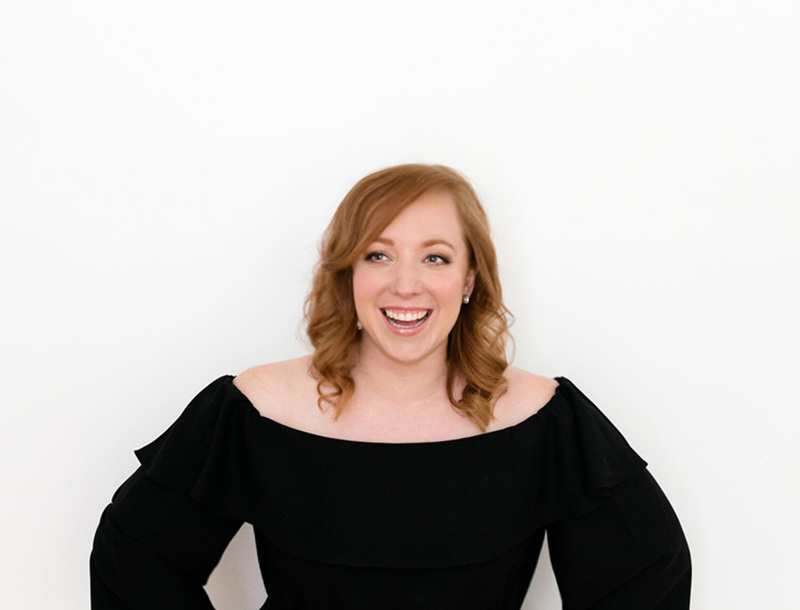 With a ton of online resources, like this one from WeddingWire, at your disposal, mastering your to-do list is the first place to start. 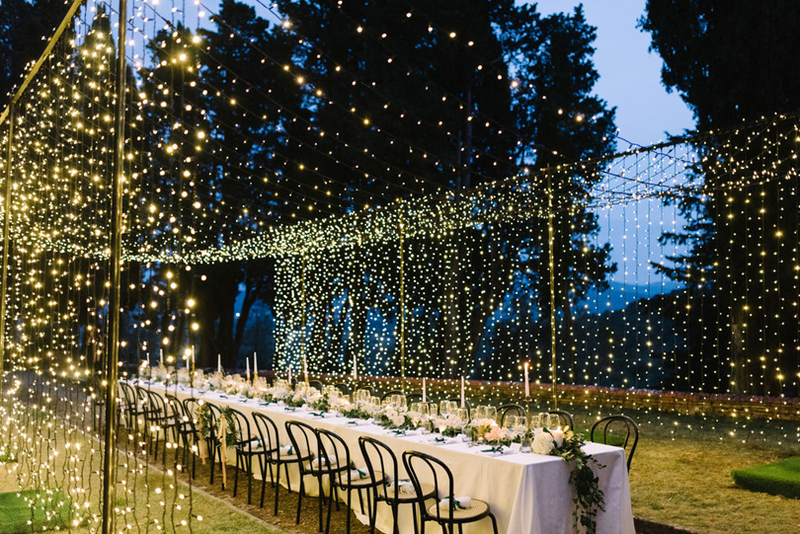 If you’re feeling overwhelmed, consider hiring a wedding planner. As planners, we can help you with most of the tasks involved in planning your wedding. From vendors, accessories, etiquette and even the smallest of details, as experts, we have the skills and contacts necessary to make your day come together seamlessly! We look very forward to hearing from you and to start planning your amazing Big Day! I can hardly believe that the year has come to an end; it feels like only yesterday that we were toasting in this year with sparkling wine and party dresses! 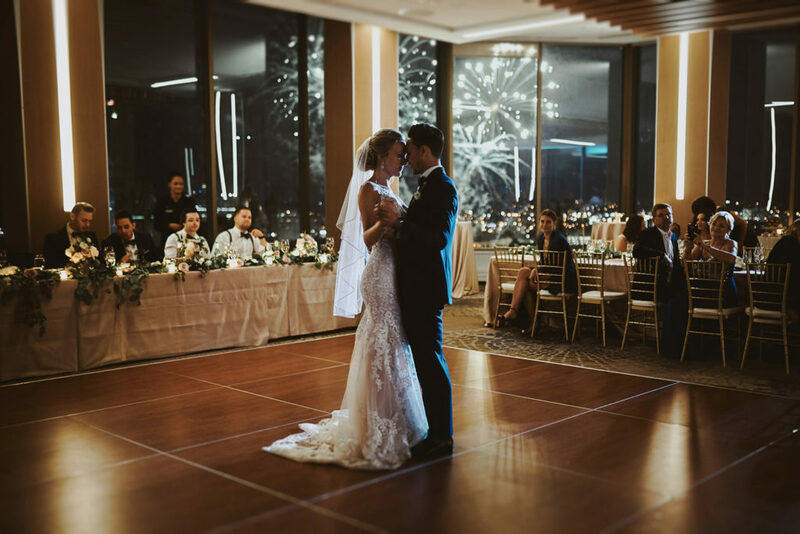 As I prepare to ring in the new year of 2019 and rock the next wedding season to come – I wanted to take a moment to share and reflect on all the amazing things that have taken place this past year. Cheers to 2018, it’s been one for the books! 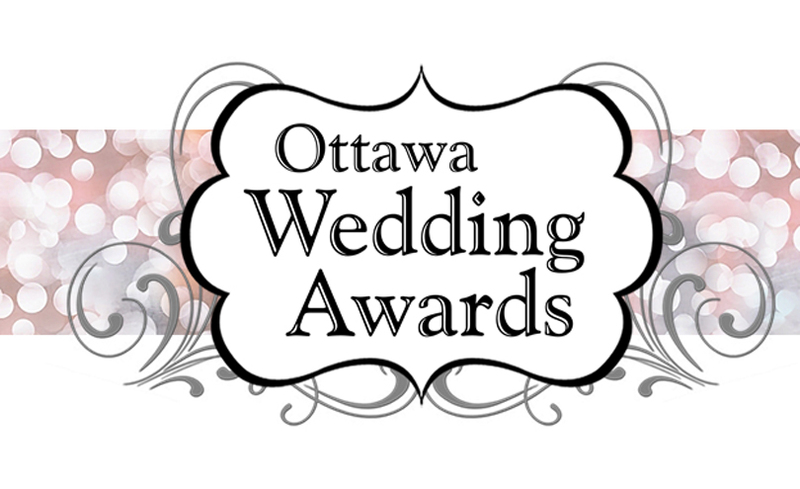 We started 2018 by being recognized and honoured with our fifth nomination for the annual Ottawa Wedding Awards: Best Planner. To be recognized as a leader in our industry is such a great honour, of which we were awarded when we won the same award back in 2015. This year, however, we chose to support our fellow planners by passing on the opportunity. As they say in Hollywood, “it is an honour just to be nominated“! February and March are traditionally quiet months around the KEP Office. This year I turned 35 and spent a month travelling through mainland China for my birthday (I got to climb the Great Wall!). Upon my return, KEP participated in our favourite boutique wedding show, Tie the Knot. Meeting newly engaged Brides and visiting with our vendor friends is something we always look forward to and regard this wedding show as the official kick-off for our next season! 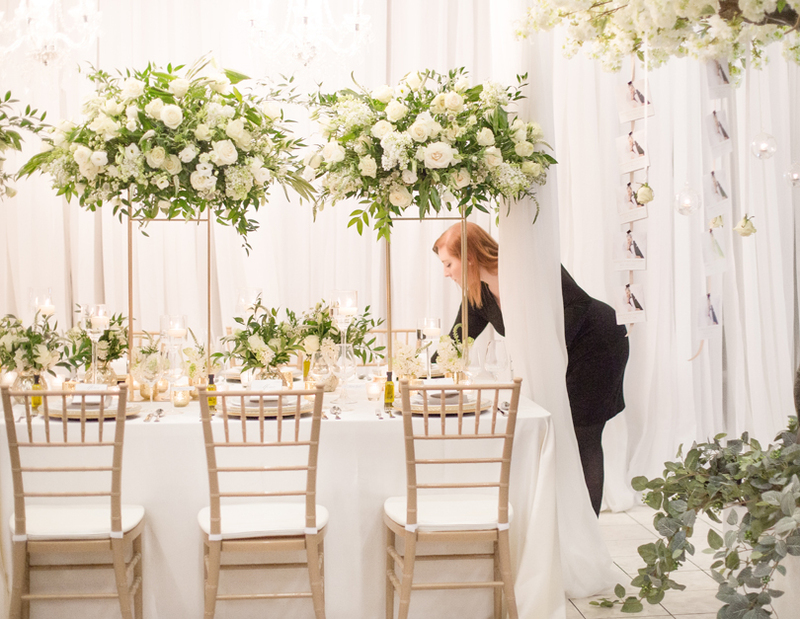 We rang in the Spring with open arms and gathered a group of top-notch wedding professionals, designing and executing a huge Upper East Side-inspired photoshoot. It was a fantastic, large-scale production that we are extremely proud of! With Spring showers come May flowers and May flowers meant it’s Wedding Season! 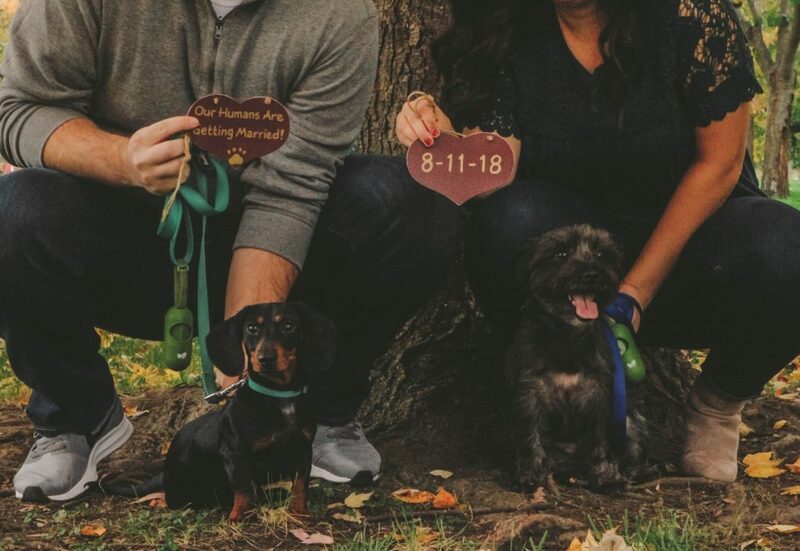 With a stacked 2018 wedding season ahead of us, we couldn’t wait to get started making dreams come true. 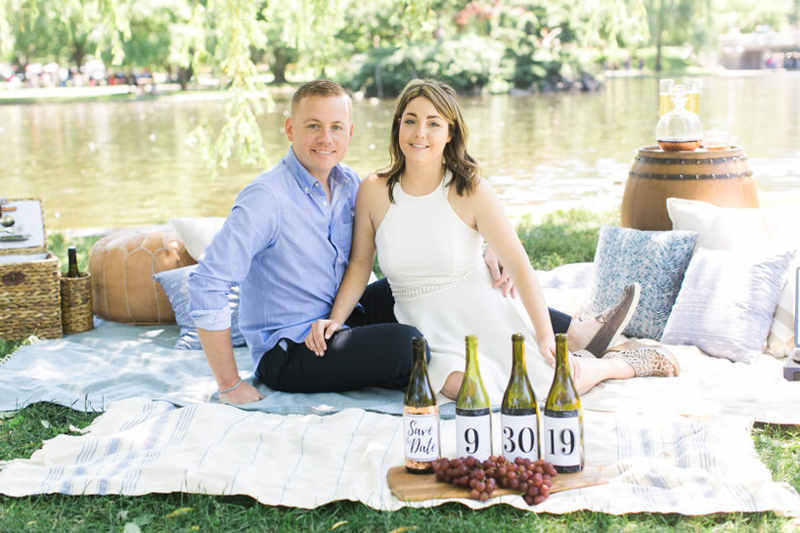 Officially into the swing of things, June was a welcomed month in our wedding calendars! Bringing on the cake and champagne – we love wedding season! July is our birthday month and this year KEP turned a Big 8 years old! 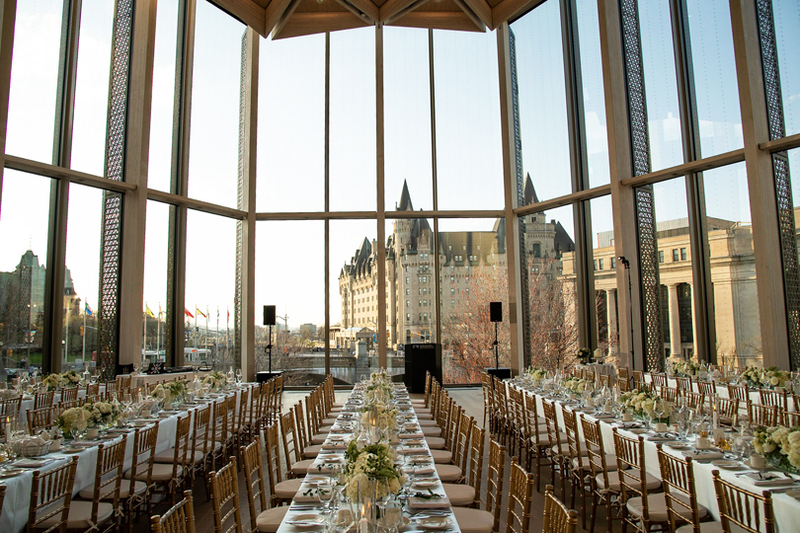 It is incredible to have been in business for this long and celebrated amongst some of the top wedding professionals in Ottawa. Cheers to the next birthday! August was hot, hot, hot! I’m not talking just about the record-breaking temperatures, I’m also talking about my amazing team! September is historically my favourite month of the year, when the days are still warm but the evenings begin to cool and of course, the leaves start to change. October was a huge month! 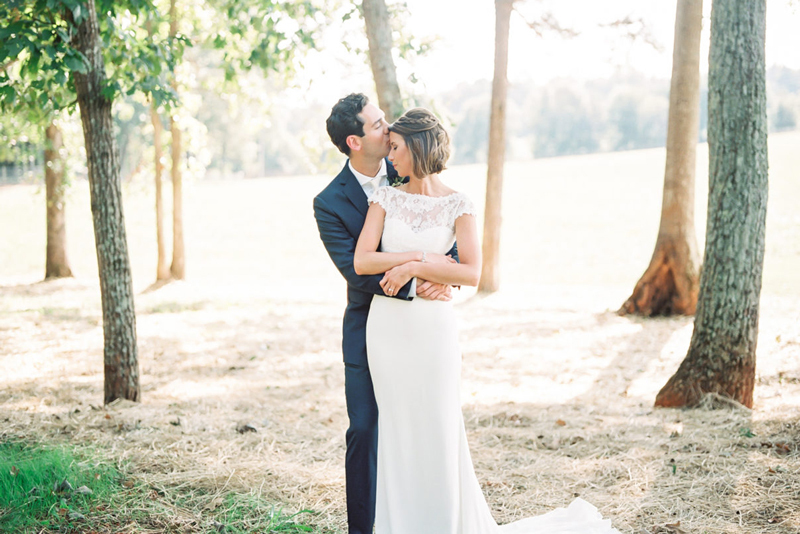 I spent most of the month abroad, marrying the man of my dreams on a private winery, Villa Petrolo, surrounded by the rolling hills of Tuscany, Italy. 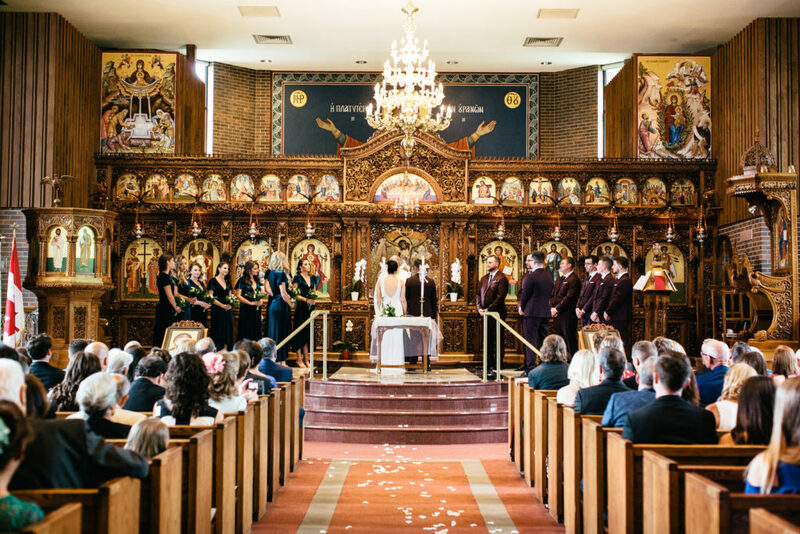 Photos of our wedding reception have since gone viral (with over 200K likes on Instagram alone) which we both still find incredibly humbling and a little bizarre! With the bulk of wedding season behind me, I looked forward to my next project and professional adventure. Collaborating with my very good friend and owner of Le Belvedere in Wakefield, Quebec the foundation of an amazing partnership started to form. Want to know more … you’ll just have to wait and see! Easily the highlight of my month was to have the creative style shoot I produced back in the Spring be featured on one of my favourite national wedding publications, Wedluxe Magazine. As I do every year, I got all dressed up and joined some of my dearest friends at our annual industry holiday celebration, Noel en Noir. It is the one day of the year that we all get to get dressed up and treat ourselves as guests – it’s the perfect way to end the year! Thank you so much to all of our wonderful clients, amazing industry colleges, and loyal friends who have supported my team and made this year one of the greatest yet. Your overwhelming love and encouragement continues to motivate me to continue doing what I love to do. What’s next for KEP, you ask? Well, I will be taking the winter months to refocus, reorganize, and come back stronger and better. Change is coming and I cannot wait to share with you all the great *BIG* things to come in 2019! 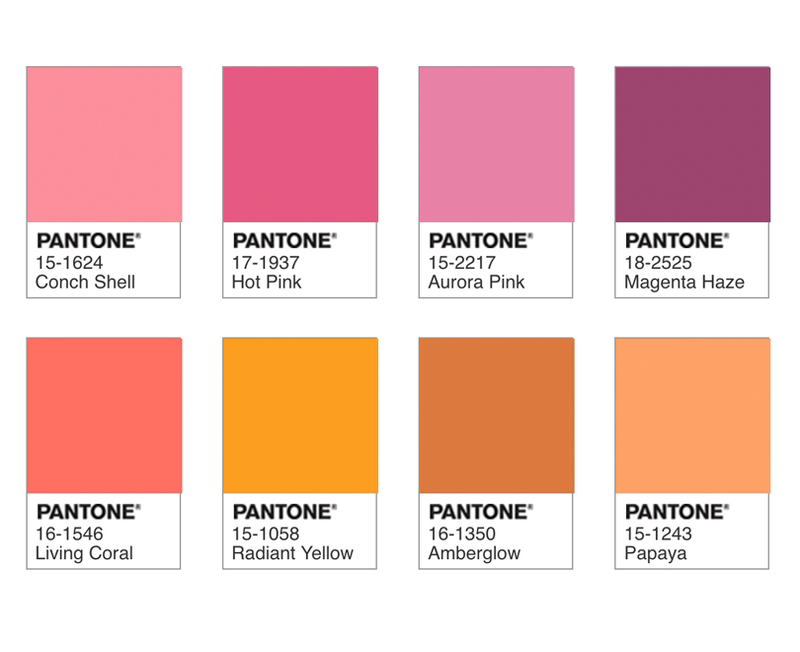 Pantone has announced it’s colour of 2019 is a bright, sunny, pinky-orange named Living Coral. A cheery tone that’s perfect for Spring and Summer weddings, coral is a fantastic hue to incorporate into a wedding via everything from coral coloured flowers, bridesmaids dresses, cakes, makeup and colour schemes. 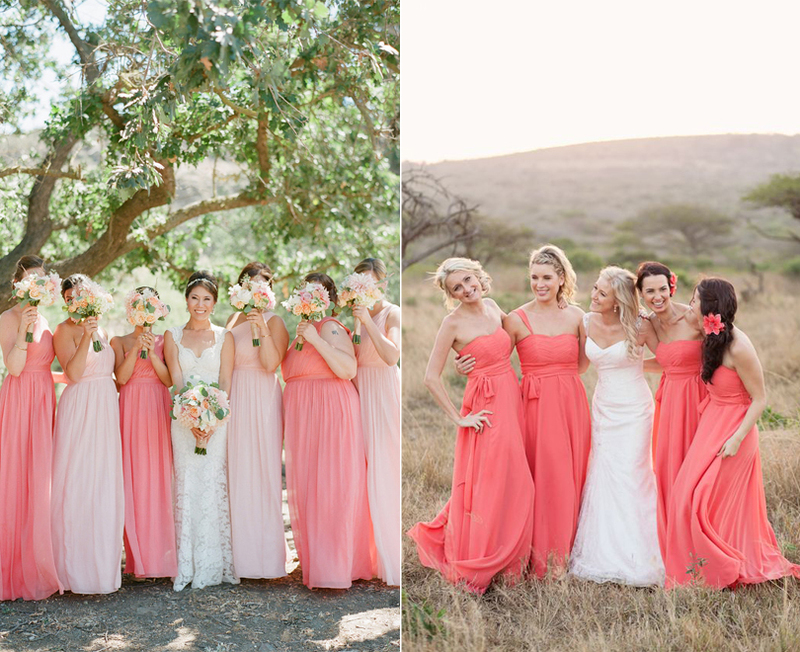 Looking for a natural way to bring Coral into your wedding scheme? Look no further than the peony! A timeless wedding flower, peonies have always been a popular bouquet choice, so you can expect to see lots of these in 2019, too. Peonies can be crafted into bouquets that suit any style of wedding, from very formal affairs to rustic garden parties. However, as the peony season begins in April/May and only runs through to late June, their availability is limited. If you have an early summer wedding and your heart set on peonies then you will be able to get your hands on them. But if your wedding is later in the year, then beautiful alternatives include garden roses (for summer), dahlias (for late summer) or ranunculus (for winter and spring). Minimalists can rejoice because 2019 heralds the return of classic designs and simple styles. 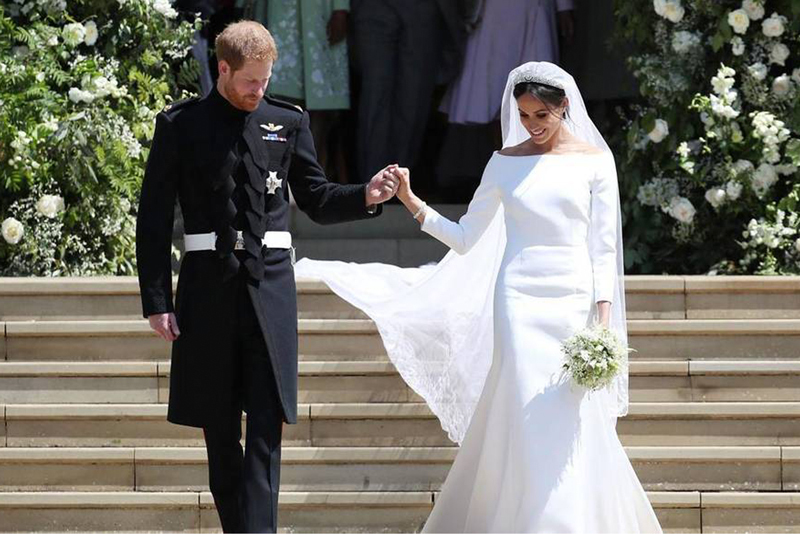 The poster girl for this trend is Meghan Markle and her striking yet simple bracelet-sleeved, bateau-necked ceremony gown and halter neck reception dress. For this style, tailoring is key, as is finding the right silhouette to suit your shape. Nail both and you’ll be well on your way to modern princess bride realness. Brides are going to be embracing a natural look that highlights their favorite features. Hairstyles will be simple too, think half-up-sweeps that frame the face with a few locks and are softly gathered in the back of the head. Greenery continues to be a classic go-to shade, with flowers and foliage becoming more organic and lush. Trees and lots of foliage throughout floral designs will take centre stage. Florals will be natural, whimsical and romantic. 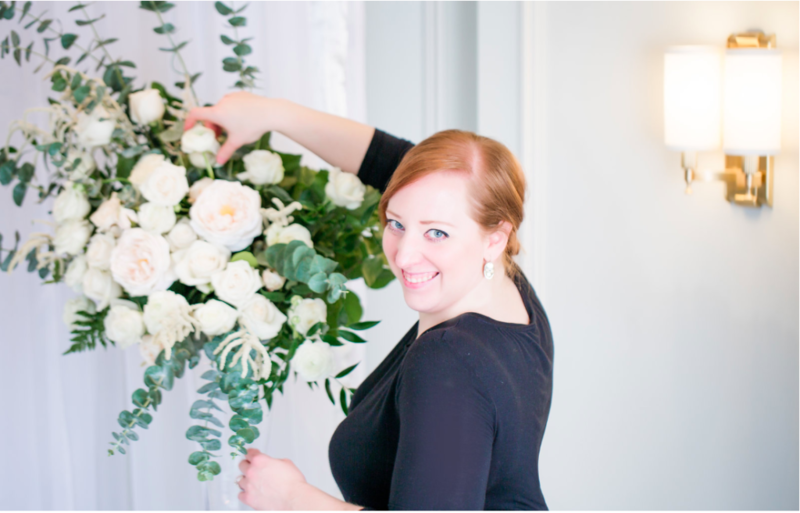 Brides will also include an abundance of greenery in their bridal bouquets. Giant greenery with two to six amazing blooms, such as garden roses, peonies, and protea, are what brides will be carrying into 2019. 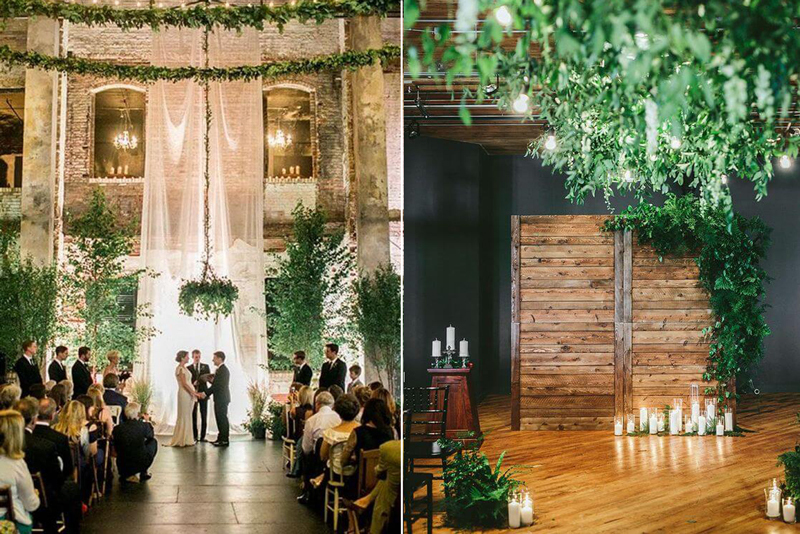 Another interpretation of the ‘bringing the outdoors in’ trend, is by using grasses instead of foliage to decorate your wedding. Ideal if you’re attracted to a neutral colour scheme, or wanting an updated bohemian aesthetic, pampas grass appears incredibly romantic when used to decorate arches and aisles. 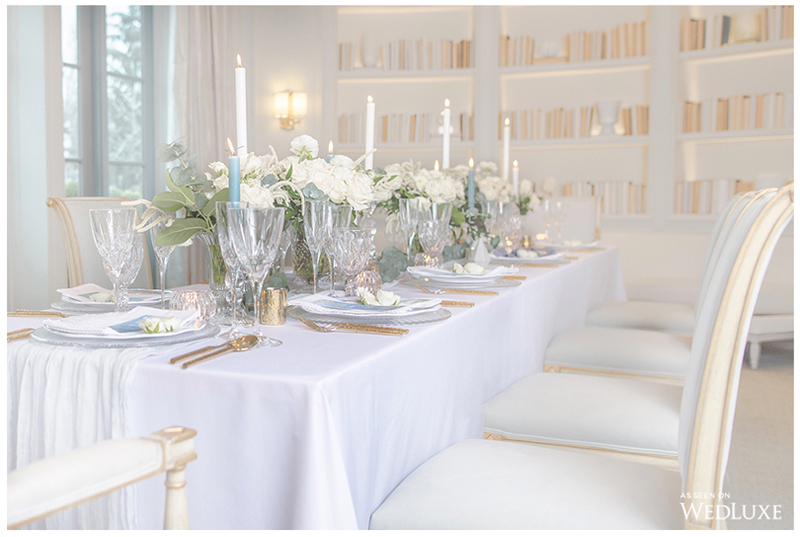 Our favourite design for a modern tablescape is lots of layering, clean lines, and loads of varying texture. Swapping the round tables and tall centerpieces for long banquet tables with rows of low flowers. Filling out long tablescapes with multiple floral arrangements in a high/low fashion will add depth and dimension at different levels with floral and candles. 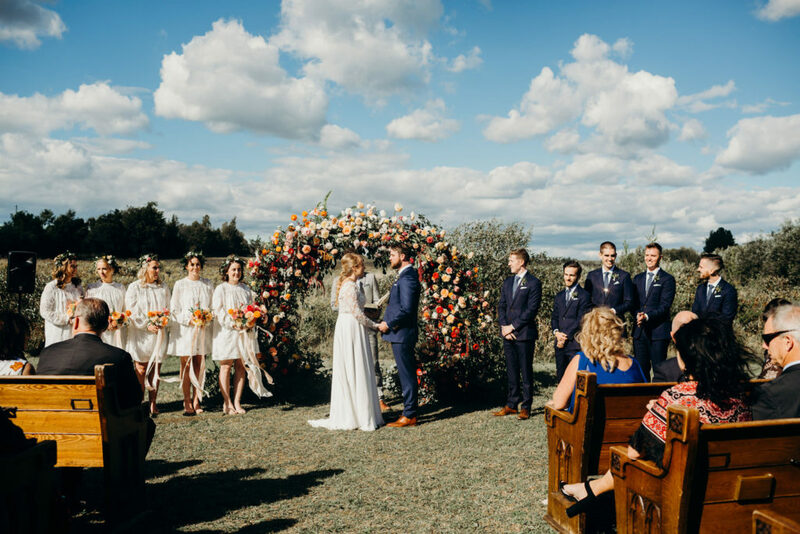 Guests can see each other, the happy couple can sit in the middle without feeling like they are on display, and it makes for wonderful photos. One trend that will continue to prevail throughout 2019 is the pull towards refined elegance. A classic, simple, and refined aesthetic will always be in style; go for minimal decor and an airy color palette. An immaculate place setting—free of virtually everything but your charger, menu, and napkin—are both photographically and spatially pleasing. Doing away with waiters serving traditional canapés, grazing tables that usually featuring cheese, meats and fruits are presented as a work of art, ensuring your guests never go hungry! 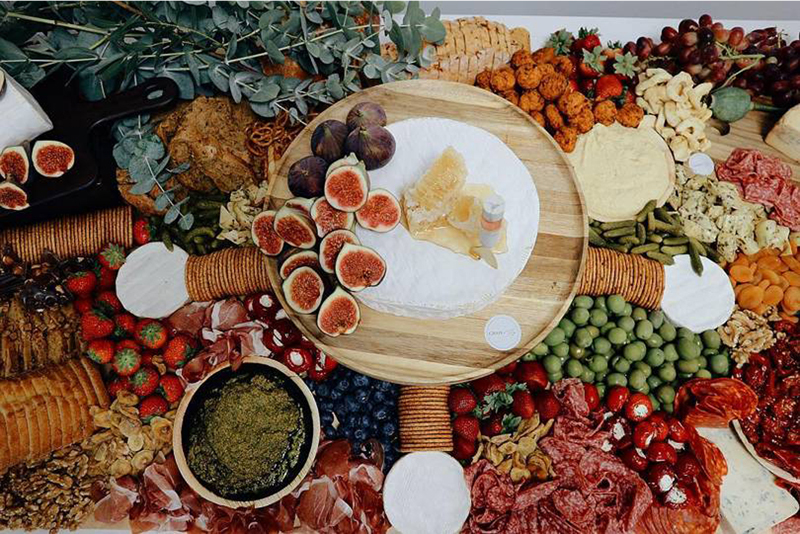 What pairs perfectly with a well designed charcuterie spread? An interactive cocktail bar! Couples like to include something interactive for their guests to do and a having a specialty bar, like a tequila tasting or scotch tasting bars are a fun activity. A mixologist onsite can assist guests in choosing different drinks to try and enjoy! 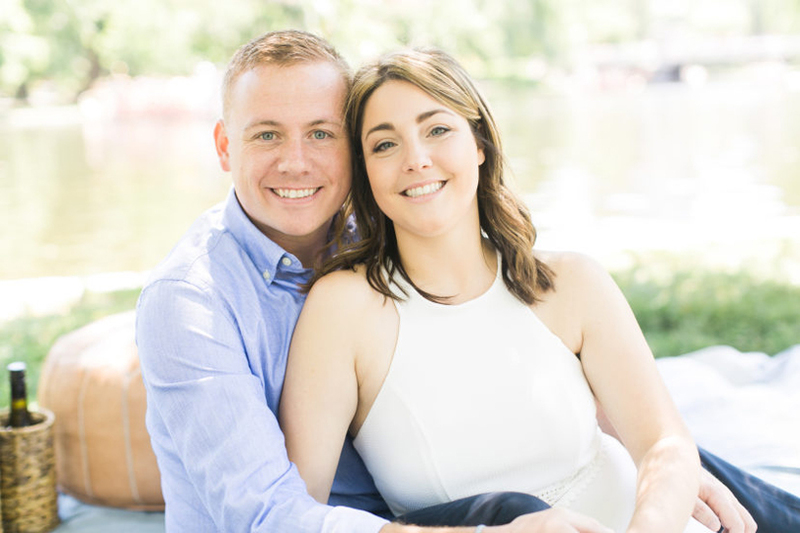 Couples have been adding multiple events to their wedding program including welcome parties, after parties and post-wedding brunches for years, but instead of jamming everything into a three day weekend, more and more couples are turning to alternative days of the week to host their big day. 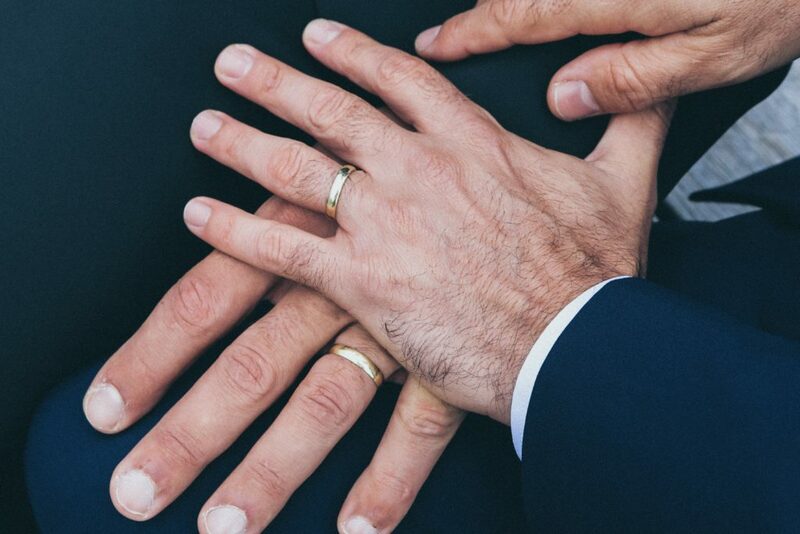 Couples are hosting family and friends all week long and are opting to celebrate, with a full ceremony and wedding, towards the beginning or middle of the week. What do you think of hosting your wedding on a Wednesday? 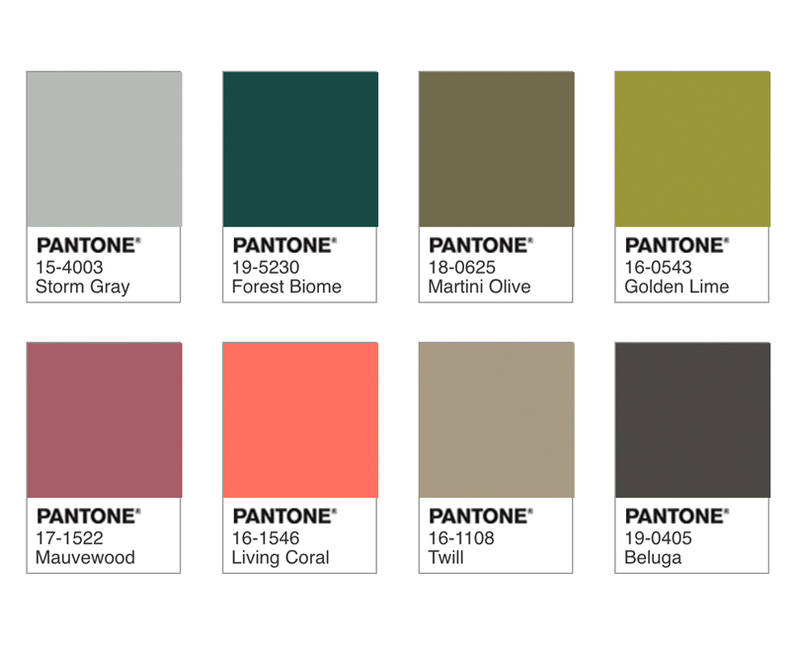 Every year, the Pantone Colour Institute releases it’s ‘Colour of the Year’, a highly anticipated annual announcement for designers and fashionistas alike. The annual Colour of the Year both highlights and influences top seasonal runway colours, forecasts global colour trends, and advises creative companies on popular colours for products and design. Pantone has just announced that the 2019 Colour of the Year is: Pantone 16-1546 Living Coral. Described as, “an animating and life-affirming coral hue with a golden undertone that energizes and enlivens with a softer edge”. 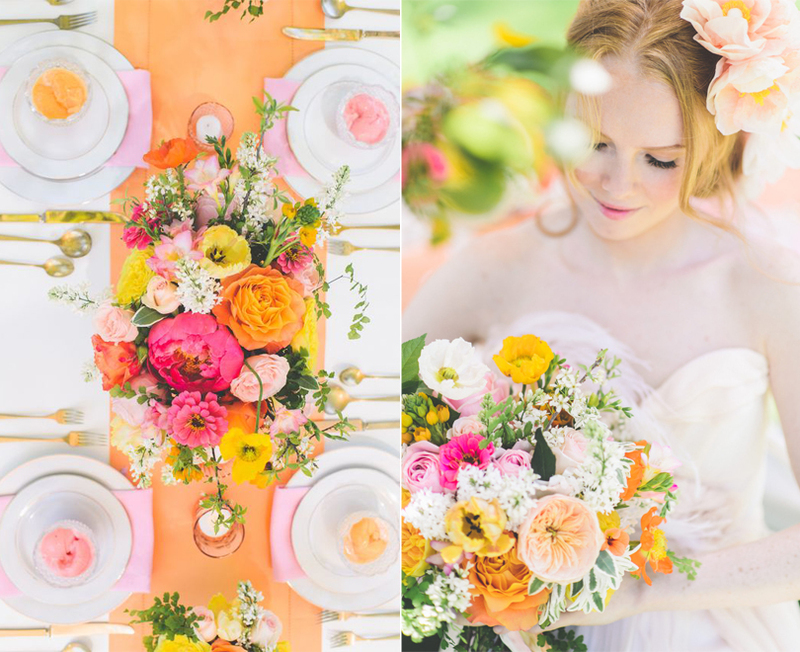 Florals are a great and easy way to embrace Living Coral into your wedding. 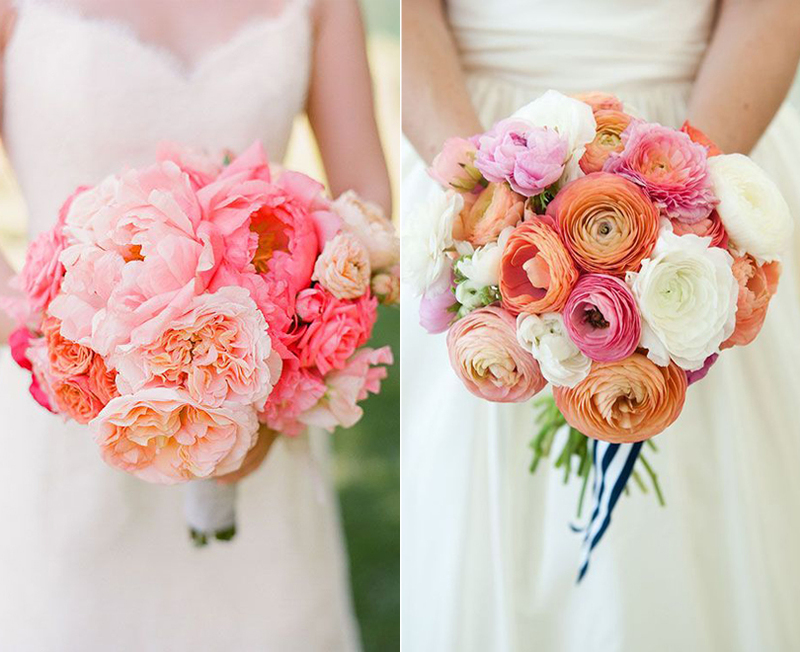 Peonies, Ranunculus, and Spray roses are gorgeous and make for beautiful, lush bridal bouquets. Bridesmaids attire is a fantastic way to add pops of this gorgeous 2019 Colour of the Year. You can choose to dress your entire party in one solid colour or indulge in a more favourable ombre effect. 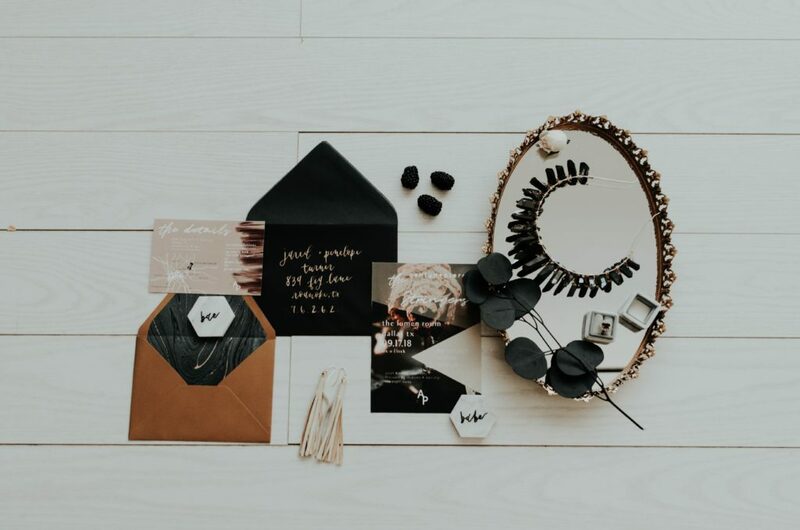 From invitation suites to full reception staples, wedding stationery is a fantastic way to incorporate bold and bright colours without overpowering your overall theme and design. It’s no secret that we love, love, love flowers! To us, florals are like the sprinkles on a cupcake – they absolutely complete a wedding look. Bright and bold florals led themselves easily to a visually dynamic table and ceremony decor. 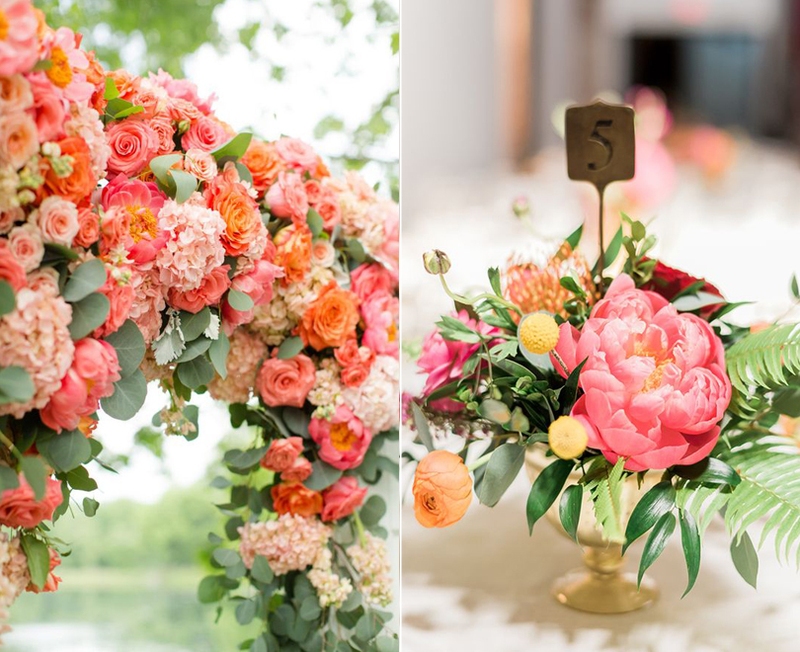 Living Coral will absolutely work in these two areas of your wedding design. Consider serving chilled pink lemonade or a refreshing grapefruit cocktail as your welcome drink or signature cocktail as an easy (and yummy!) 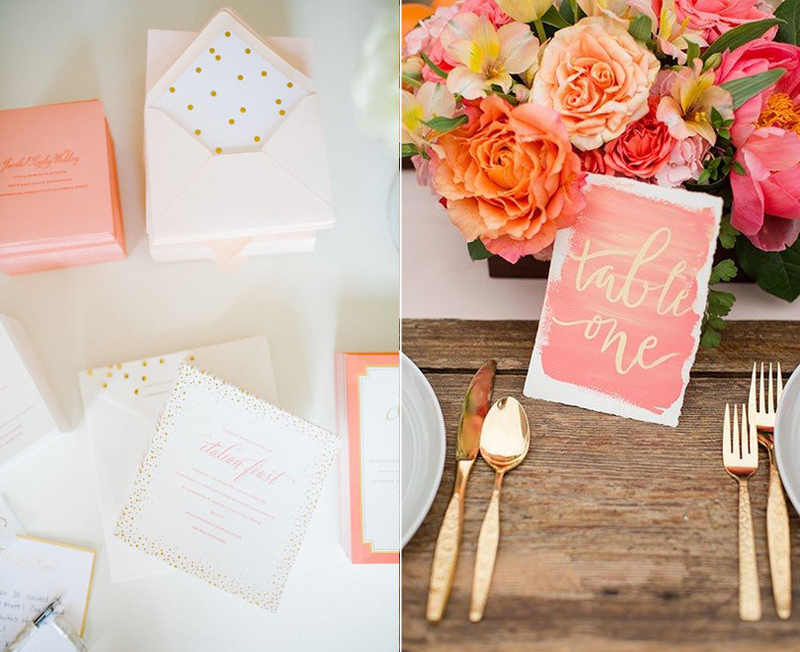 way to include coral into your wedding pallet. 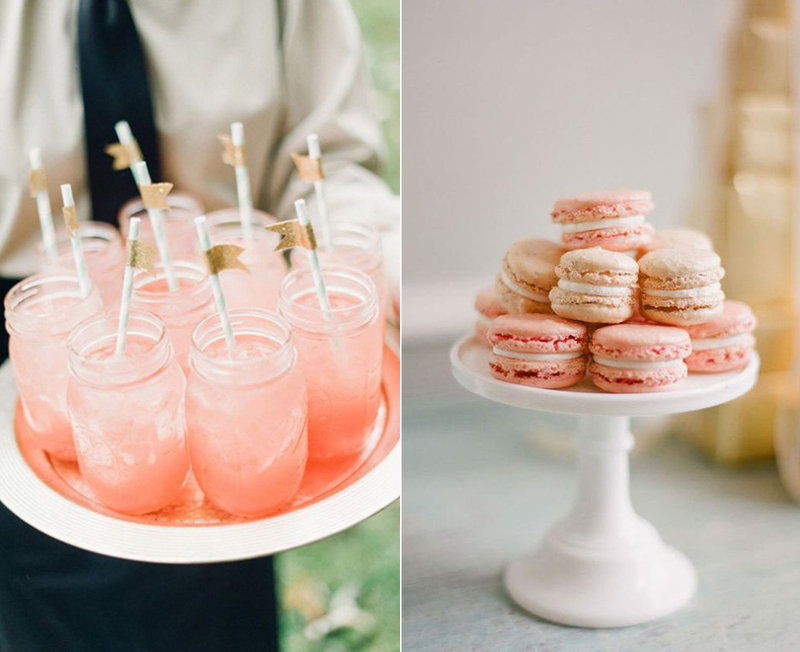 Pink and coral coloured French macarons also make for both visual delicious detail and dessert table addition! Pantone describes this palette as “immediately drawing our attention like a beacon of light. Living Coral warmly engages, vivifying the palette as it becomes the focal point in the understated and upscale, composed and cool colour grouping”. We love how the natural green and tan tones both calms and compliments this year’s colour! Pantone describes this palette as “bold and brilliant, a palette evocative of the dazzling portrait of colour splashed across the sky as the sun rises and sets, one where Living Coral energizes and enlivens, adding to our feelings of pleasurable warmth”. 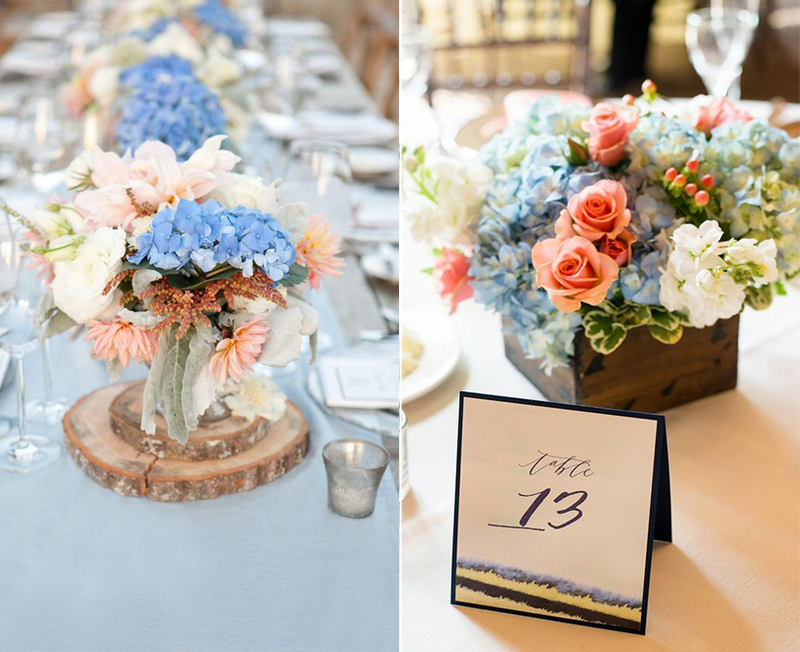 We think this pallet is perfect for a peak summer wedding, were the days are both long and warm! 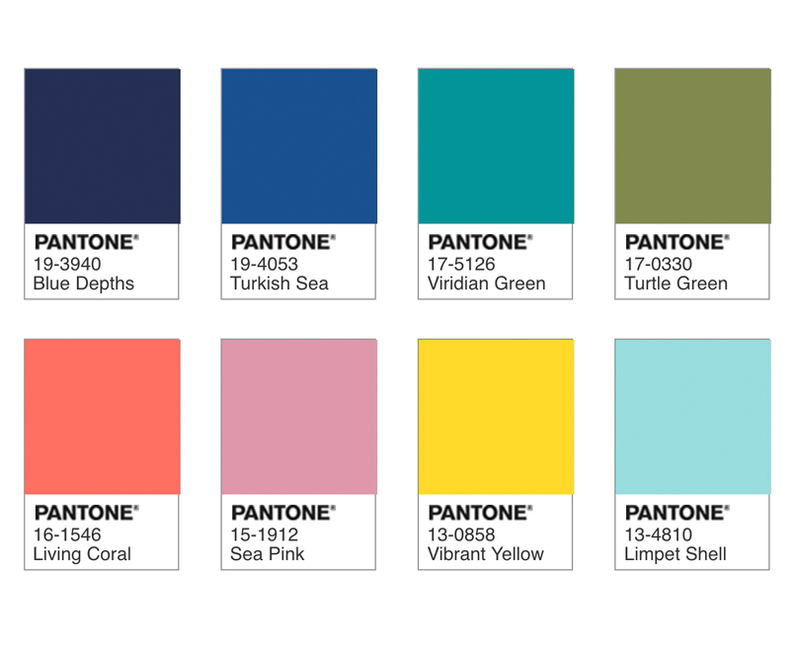 Pantone describes this palette as “awash in colour suggestive of the watery environment that lies beneath a tropical environment. Living Coral is placed at the center of our naturally vivid and chromatic ecosystem, evocative of how coral reefs embrace with their warmth and nourishment and provide shelter to diverse kaleidoscope of colourful sea life”. This palette is perfect for a nautical themed wedding hosted by the seaside! 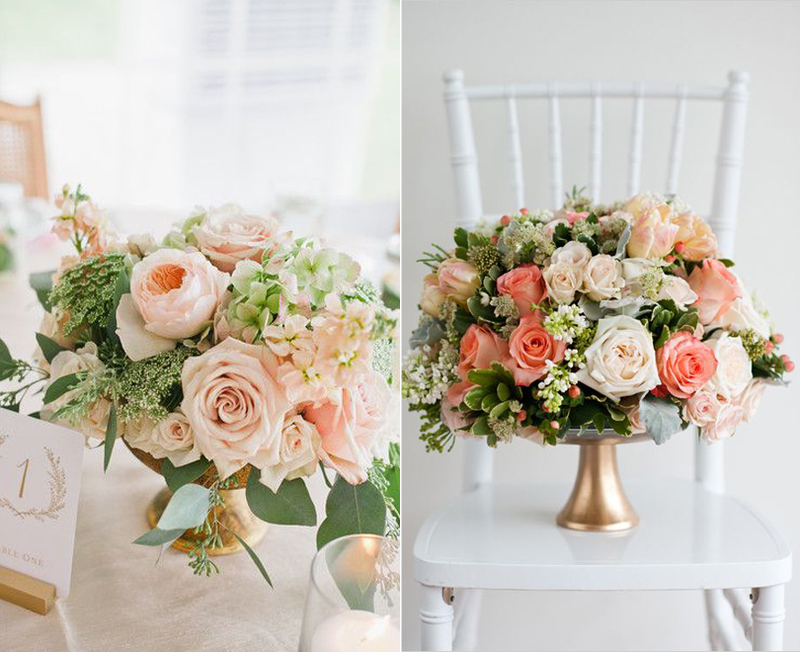 We encourage you to take these gorgeous palettes to help you bring this year’s special shade into your wedding designs! * video, colour descriptions courtesy of: Pantone | example photos courtesy of Pinterest. 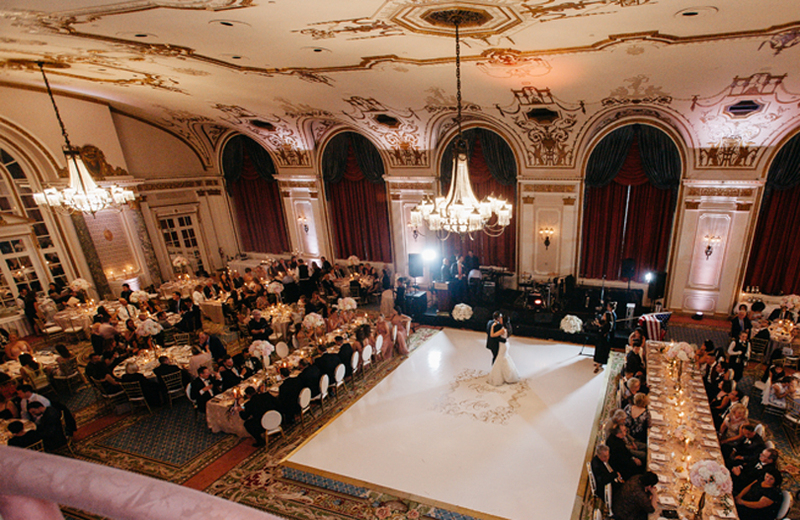 There is so much to love about a fall wedding—the cooler temperatures, rich colours, and lush, cozy venues. 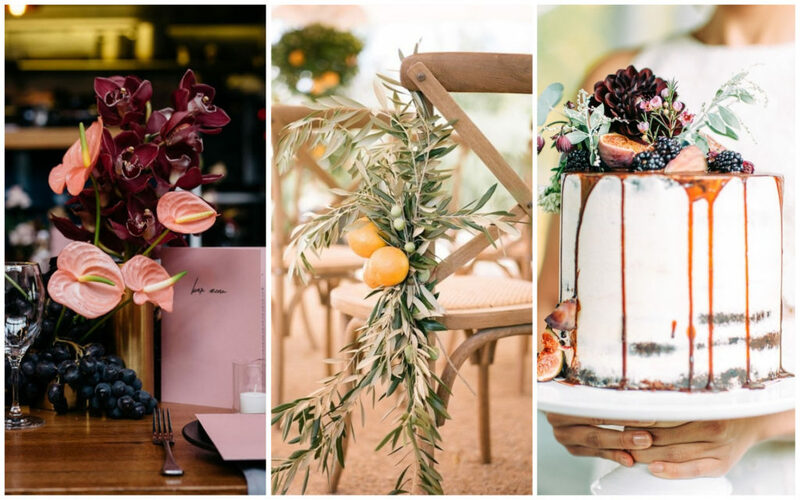 Here are some of our favourite trends that will enhance any autumnal party experience. This ultra-luxe fabric has made a big comeback in fashion and furniture design over the past few years. 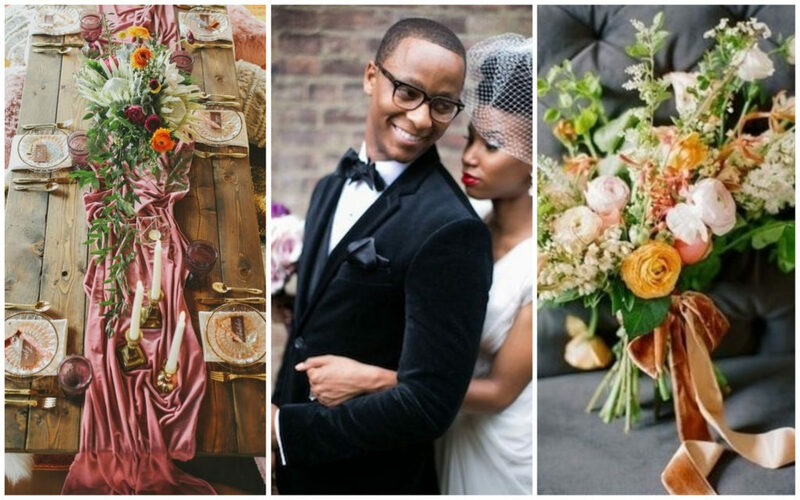 It’s no surprise that velvet has worked its way into wedding decor as well. Velvet adds an enhanced level of luxury to a boho-chic event. 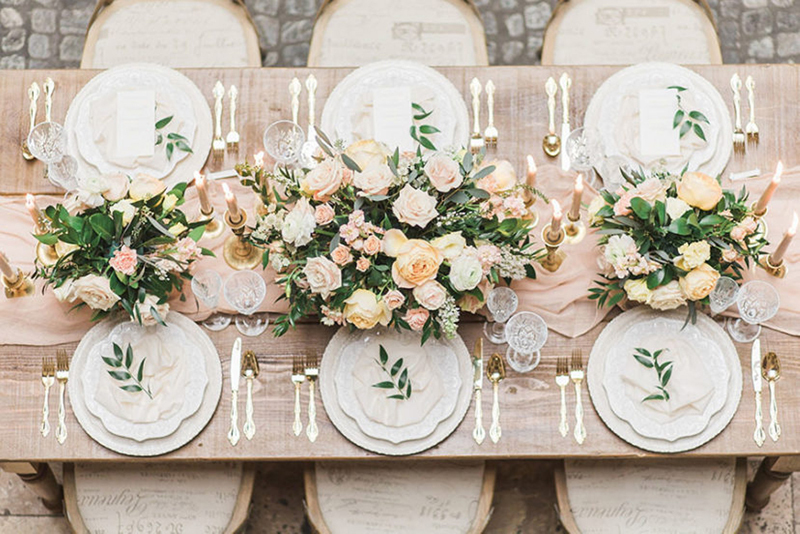 We especially love it as a table runner with lush florals and tapered candles. It also looks great on a vintage-inspired wedding party or in small ribbon accents. Fresh fruit is an easy way to make your decor look like it came straight out of a Dutch Masters’ painting. Choose jewel-toned fruits like grapes, pomegranates and figs for a moodier feel while citruses like oranges and lemons work for a brighter, cheerier look. Fruit doesn’t have to stop at centrepieces. Use it as a delicious decoration for your cake, incorporate it into your menu, or wear it in a floral crown. Nothing encapsulates the fall season more than a shared meal among friends and family. Opt to have your meal served family style, where dishes are passed between guests, instead of the traditional waiter experience. This encourages your guests to interact with each other which gives a cozier, more intimate vibe. 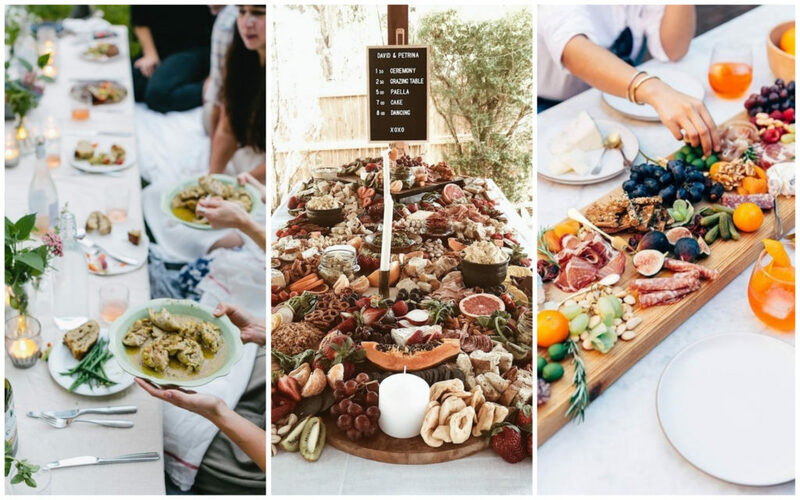 Grazing tables where guests help themselves to spreads of artisanal meats, cheeses, breads, and vegetables are also gaining popularity. Not only will it taste great, but it also acts as a show-stopping centrepiece for the entire event. The city of Ottawa may have a reputation for being ‘vanilla’ but our wedding industry is anything but that. Every year we’re seeing vendors bring fresh, fun ideas to couples that want to add unique touches to their big day. As planners, there’s nothing better than hearing a wedding guest say “That’s SO them!” when they pick up on a personalized detail. Here’s a list of our favorite local vendors that will make your wedding day one of a kind. As elaborate photobooths slip out of style, couples are on the prowl for alternative ways to keep their guests entertained. 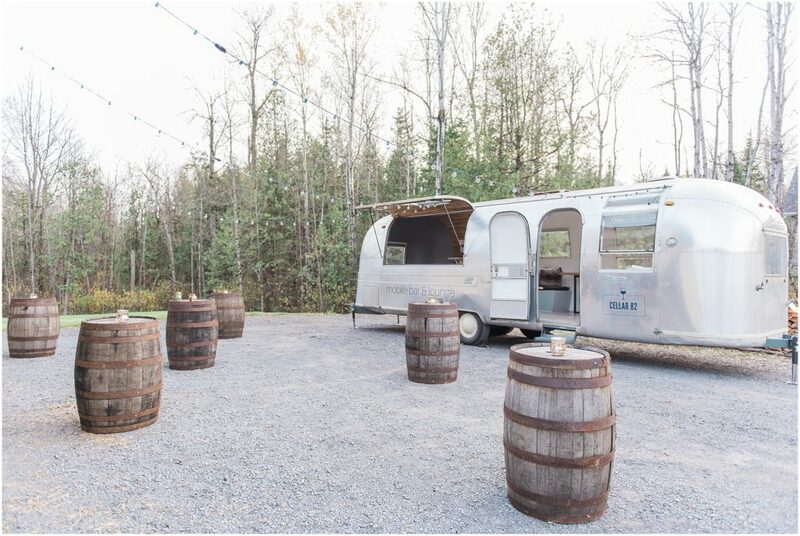 Cellar 82 is a mobile bar and lounge set inside a stylishly renovated 1967 Airstream trailer. They offer a variety of creative cocktails, boozy snow cones, and alcoholic freezie pops. 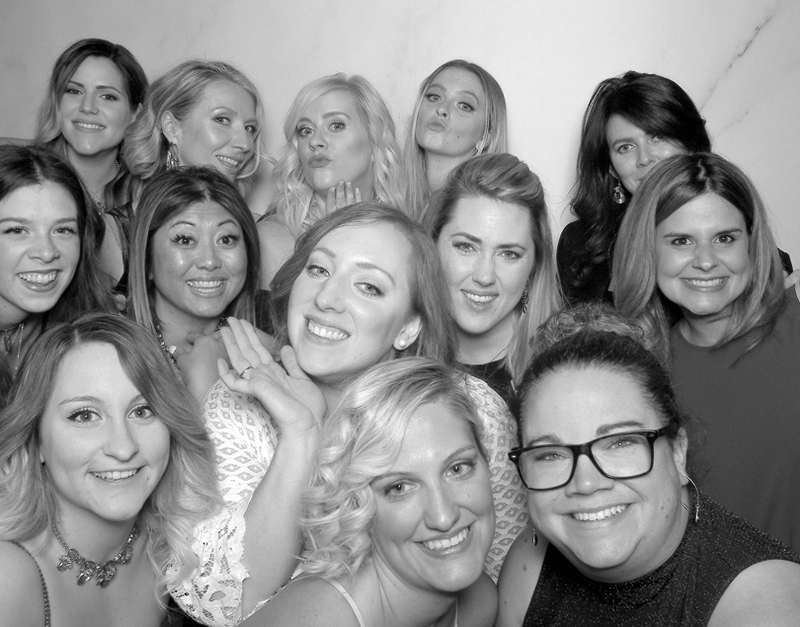 Not to mention, the beautifully designed trailer provides the perfect backdrop for your guest’s selfies. Rental of the Airstream is $1,500 and an open bar starts at $55 per person. Bring in a fun bar…on a bike! If there are two things that Ottawans love in the summertime it’s bikes and booze. Sip Beverage Bike has combined these local favourites in an adorable (and safe) way. 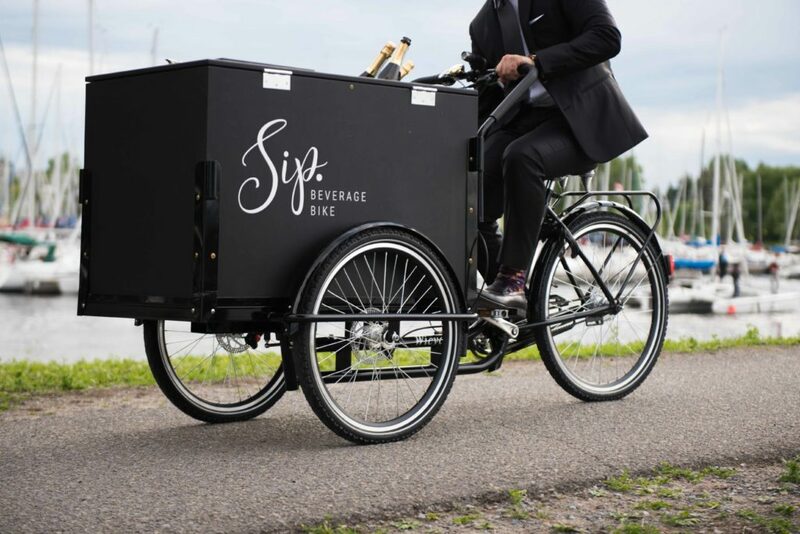 Sip will come to your venue on a super cute custom bike equipped with an ice bucket and large cooler box stuffed to the brim with beverages of your choosing. Drinks are served by a friendly driver decked out in either a tuxedo or an “I make pour decisions” t-shirt. Their standard event package is $500 for 4 hours of service. Have you thought about including your pup in your wedding but are worried they may do something unpredictable like say, pee on a guest? Worry not, Dayna’s Pet Sitting is here to be your dog’s personal Day Of Coordinator. Dayna’s will manage your dog’s needs throughout the rehearsal, ceremony, photos, and any other moment you want them there for. Afterwards, they’ll transport Fido to a caretakers or kennel so you can enjoy your reception and honeymoon. There packages are 100% customizable and quotes are given on a individual basis. Jewelry workshops that let you design and create your own wedding bands are sentimental and make for a truly unique date night. Cynosure Jewelry Design has a private, two-session class that walks you through the ring-making process from start to finish. Dates and times are flexible according to your schedule and no experience is required. The workshop is $360 per couple plus material fees depending on what type of metal and design you choose. Unique wedding desserts can be a great way to show off your personality as a couple. They also tend to be a big hit with guests. Popafella Paleta Bar offers a delicious line of vegan, all-natural popsicles perfect for cooling down guests at outdoor wedding. Their gourmet popsicles start at $4 a piece with lots of different catering options available.